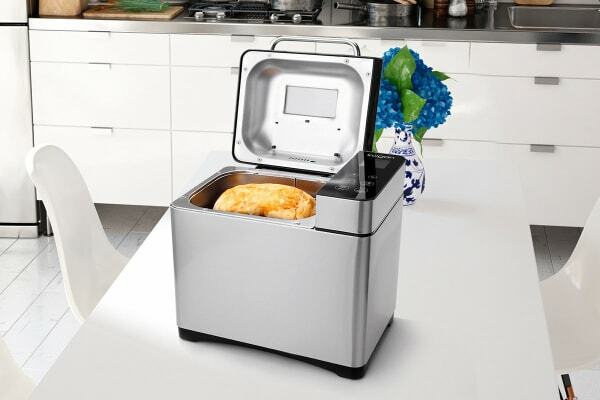 Incredibly easy to use, cheaper than constantly buying ready-made bread and better tasting than anything you can imagine, this Premium Stainless Steel Bread Maker will change your relationship with bread forever! 19 automatic programs make your choice difficult but the process easy! 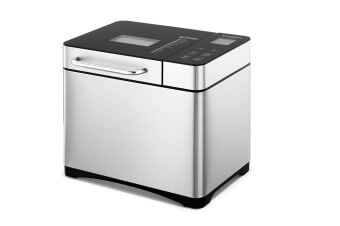 19 automatic programs allow you to make almost any bread you desire, including natural sourdough, French bread, soft bread and multigrain, as well as cakes, jams, yoghurts and more! Simply add the ingredients, select your desired program, your crust shade and loaf size, and press Start. The machine will knead, ferment and bake your bread perfectly every time. If you want your bread freshly made in the morning, just add the ingredients then set the timer for bread to begin baking up to 15 hours later. The Keep Warm function will even keep your bread gloriously warm for up to 60 minutes if you decide to sleep in later than planned. 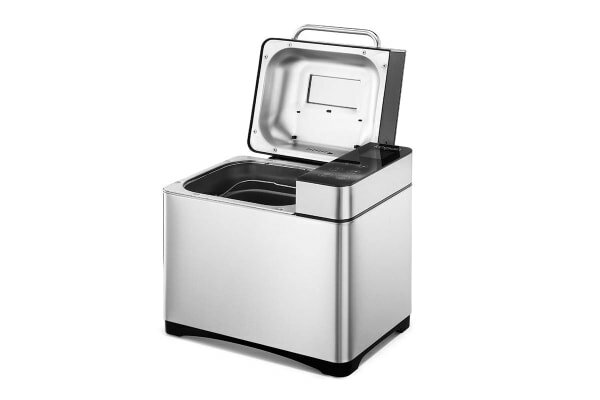 With a gorgeous stainless steel design, this bread maker will be a stylish addition to your kitchen. The LCD display makes it easy to program your desired settings, and the large viewing window and lights allow you to check on the progress of your bread while you wait! Don’t fear the cleaning up! A removable kneading paddle and non-stick bread pan make cleaning the Stainless Steel Bread Maker the easiest job in the world! Only had the Bread Maker for a short time. So far, so good. Had a couple of failures initially but practise makes perfect - so they say. Internal light is a good feature. Smart looking unit, easy to use (once you get the quantities right). The bread maker is a simple and practical device to use and produces great bread.